Meadhbh McGivern missed the chance for a liver transplant, because a flight bringing her to London was organised too late. THE HIQA REPORT on how a 14-year-old Leitrim girl was denied the chance to travel to London for a liver transplant has identified four critical decisions that led to her having to turn down the donor organ. Meadhbh McGivern, who has acute liver disease, had been on the transplant list for 11 months before an organ came at 7:20pm on 2 July – but transport could not be arranged to bring her to London before 2am, the time within which the organ was viable. An Air Corps jet, which was overseas with the President, had come back to bring Meadhbh to London – but by then the HSE had made alternative arrangements with the Coast Guard in Sligo. By the time the Coast Guard had arranged its transport, by helicopter from Sligo due to leave at 11:30pm, the arrangement was called off – because the journey would have taken four hours, meaning she would miss the 2am deadline. 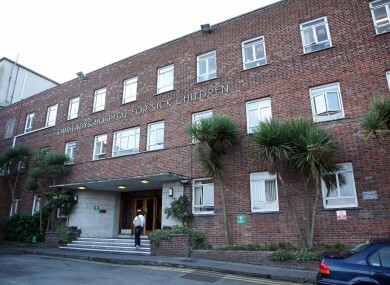 Crumlin Children’s Hospital had meanwhile sourced a private jet, but had to let the offer pass because its funding director had not approved its hire. This morning an official HIQA report into the botched transport said there was no single body responsible for overseeing transport in those circumstances – and identified a number of key failures which led to the transport being cancelled. The report said King’s Hospital had not told the Emergency Medical Support Services that the liver set aside for transplant to Meadhbh was “from a non-heartbeating donor” – meaning that the timeframe to carry out a transplant was shorter. They also did not inform them of a latest-possible arrival time in London. When the Sligo coastguard helicopter – the mode of transport ultimately provided for the McGoverns – was deemed a viable means of transportation, the report said an earliest estimated time of arrival was not offered. The failure of the coastguard, at 11:15pm, to advise the HSE national ambulance service about its expected arrival time in London – meaning the HSE had not been prompted to again check on whether a fixed-wing aircraft was available. The report elsewhere states that an Air Corps jet had arrived back at Baldonnell at 10:30pm that night, and could have been available to bring Meadhbh to London pending the necessary conditions and availability being met. “It is impossible to predict what might have happened for Meadhbh on the night if the key pieces of information had been provided, if Meadhbh had made progress towards Dublin and if the National Ambulance Service had become aware that a fixed-wing aircraft was in Baldonnell at 22:30,” the report concludes. However, the culmination of these factors meant that, on 2 July, any opportunities for the successful transfer of Meadhbh were greatly diminished as time passed. Email “'Four critical decisions' led to 14-year-old girl's cancelled transplant”. Feedback on “'Four critical decisions' led to 14-year-old girl's cancelled transplant”.